Paducah, KY – The Paducah Chiefs Baseball Club have announced that they will return to Brooks Stadium for the 2018 season. The team is part of the Ohio Valley League, a collegiate wooden bat association. A large percentage of the 27-player roster is comprised of players originally from the Paducah area. The players who don’t call the city home are housed by host families for the duration of their 42-game season. The Paducah Chiefs are currently seeking host families for those players from outside of Paducah. The season will kick off on May 31st with the Chiefs home opener against the Madisonville Miners. The regular season July 18th followed by two playoff rounds and a championship round. In addition to becoming a host family, sponsorships and season tickets are currently available for the 2018 season. 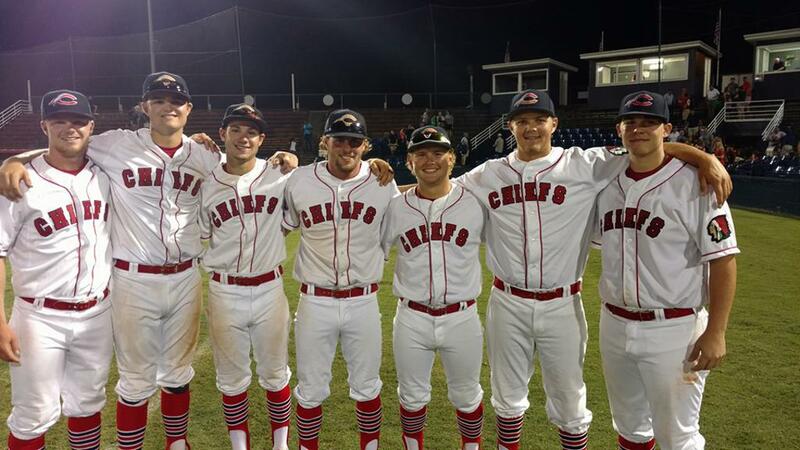 Those interested in season tickets, team sponsorships or becoming a host family for the Paducah Chiefs are encouraged to contact Greg McKeel at (270) 210-9766, by email to PaducahChiefs@gmail.com or you may send a message on the Paducah Chiefs’ new website at www.PaducahChiefs.com. *Includes all home games & home playoff games. PARKING IS ALWAYS FREE AT BROOKS STADIUM! 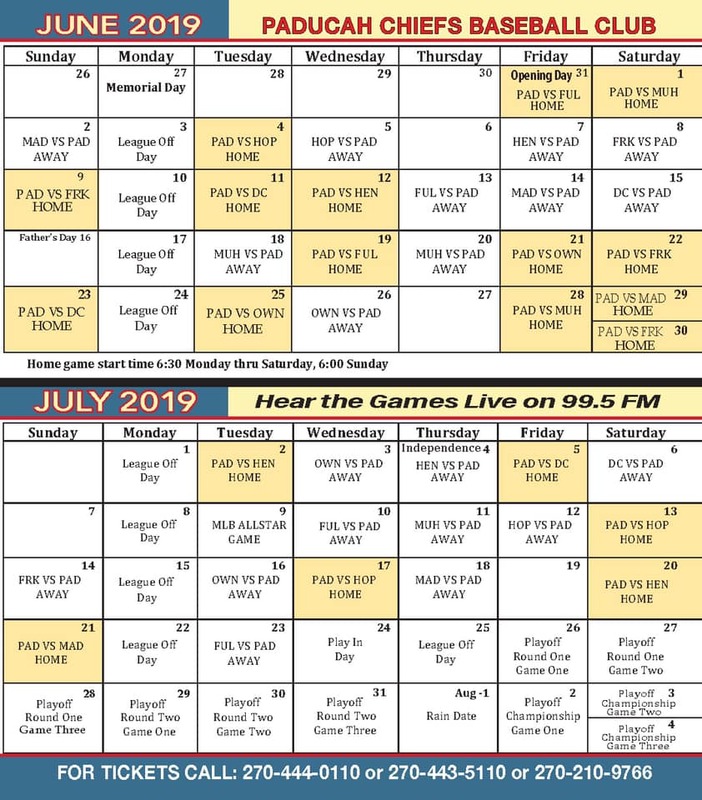 Click here for a printable complete 2019 game schedule!